From the moment the New Guy collection came together, I knew I had to create a counterpart for little girls. Though my household has not been graced with the presence of a tiny Her, I just recently got my very first niece. I finally had the opportunity to make dainty wee things. 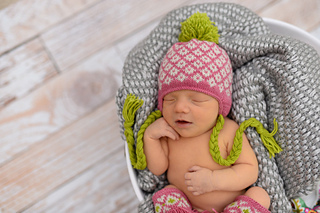 Like New Guy, the designs are sized from Preemie to Toddler with a variety of options; the accessories include sizes for older little ladies too. Work long sleeves or short depending on your weather; make bunting or a tunic depending on how cozy you want to get. The colorwork included is whimsical and minimal. Any of it can be simplified by working duplicate stitch after you knit, replacing the stranded work with stripes or even leaving pieces solid, the better to match everything in her wardrobe. 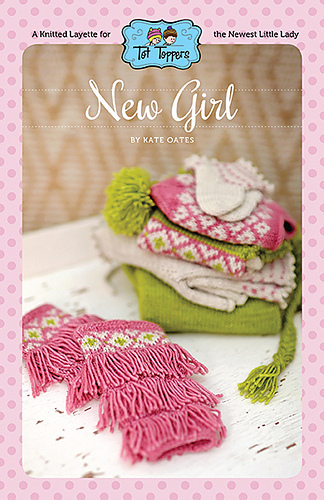 I hope you’re ready to create a delightfully cushy ensemble for a very special little lady. No matter whether you’ll get to hold her every day or see her in pictures from afar, she’s sure to feel the love in every stitch. Pamper that new girl for as long as she will allow it.